It was important to my wife and I to impart the values of integrity, acceptance of all, forgiveness and self worth to our children. These values are the basis of the stories I write. I feel we need to teach selflessness to our children to counter the narcissistic nature of our society. I prefer to have my child identify with a character in a certain story line that has traits that are humble and selfless rather than narcissistic and domineering. If the character arc of our hero or heroine is successful, then by nature, the simple traits of humbleness and tolerance become heroic, capturing the child's imagination and compelling the child to want to be like that character; not building the story around the child itself as the hero/ heroine to be the standard to which all others must meet. I feel that children need to understand and exercise the values of tolerance, acceptance of all people and situations, to have a cultural relativism, to be kind and to act on that kindness by helping those around them. Especially when those around them do not do the same in return. That perhaps can be the most difficult yet most important lesson we can provide as storytellers. 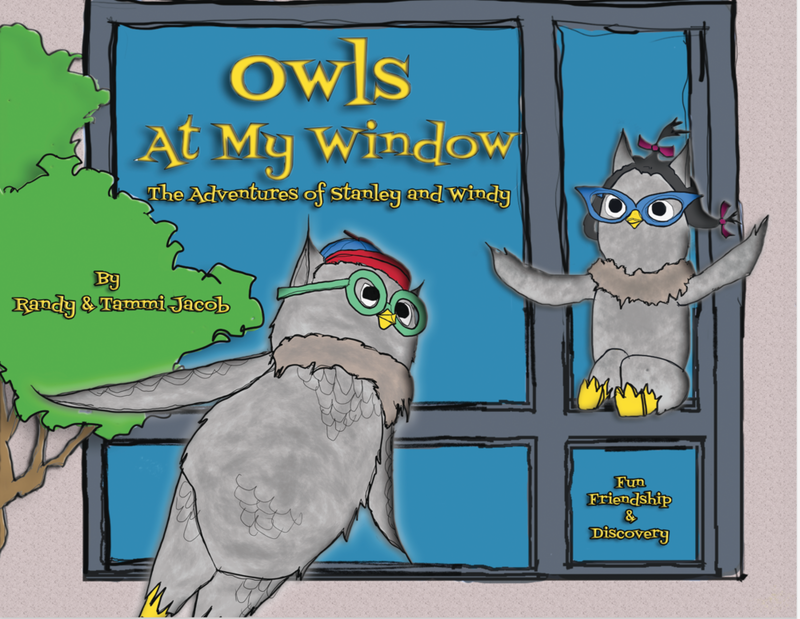 Owls at My Window introduces concepts of conformity, imagination, peer pressure and the “crossing over” of children to pre teen. The story concept attempts to remind the reader that even though you grow older, keeping in touch with your imagination and passion to learn is timeless. Through the storytelling, we hope to ignite an interest in history, architecture, geography, and exploration. We hope to achieve this through illustrations that will fire the reader’s imagination to want to ask more about these subjects leading to their own process of learning and discovery. The Little Blue Cow is set at The Big Ranch and uses it’s main character, The Little Blue Cow, as the vehicle to introduce concepts of compassion, forgiveness, self worth and acceptance of all. There are four stories that have been outlined from this concept, that take characters from the story and create new adventures around them. These spin off stories reinforce the concepts of self worth, compassion, and acceptance of all, introduced in the first story. The fourth story uses the already familiar characters at the Big Ranch looking out from “their side of the fence” across a desert wash into the natural desert. At this point in the franchise, The Little Blue Cow is friends with all of the animals at The Big Ranch, but all of the animals at the ranch have prejudices and judgements about the wild desert animals that live over the wire and across the wash from the Big Ranch. They see glimpses of wild desert animals, whom they do not really understand until the The Little Blue Cow goes under the wire on a quest to understand his desert neighbors. This story introduces a whole new set of unique desert animal characters in a new story line that builds upon the concepts of tolerance, acceptance and forgiveness, as well as introduces the concept of cultural relativism. I feel that this is a timely story as it relates to all of the racial tension our children hear about as well as issues surrounding our southern border with Mexico. Did you ever think, “What if My Dog Could talk?” This little tale answers the question! With a lively, imagined conversation between you and your pet, you may see some insight into yourself, and your best friend! The Door of Wizzdom is a whimsical, unfettered romp into the power of one’s own imagination. This story is written in rhyme to engage the reader and to tie strong verbal descriptions to equally as strong, whimsical illustrations. Both the rhyme and the illustration will lead the young reader (or listener) to use the words and images as a guide to let the fun evolve in ways specific to the reader.